If you are aged 24 or over or held an A2 licence for two years you can get an unrestricted motorcycle licence by taking a Direct Access course and test. 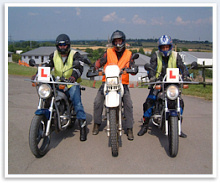 A full bike licence entitling you to ride any size of machine is gained through this course. After completing your CBT your training continues and once you are proficient you progress onto a 600cc motorcycle (Honda CBF600) which you take your tests on. 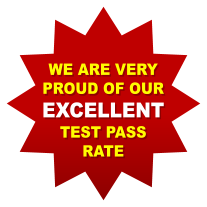 You will need a valid theory test pass and if you don’t already hold a valid CBT certificate you will need to complete a CBT first on Day 1 of your course. The theory can be arranged by ringing 0300 200 1122 or by visiting link on the right. Your upgrade to a 600cc motorcycle will depend on your experience. You can take C.B.T. followed by both modules within consecutive days, gaining a full licence in one visit, or split your days to suit, i.e. take C.B.T. and Module 1 initially to be followed later by Module 2. We are totally flexible and can arrange your course to suit you. As the course fee is charged at a daily rate you can choose your options. Our experienced office staff will help you with booking your course. With 38 years of experience we are specialists in tailoring training requirements to your needs. If you are unsure which course is for you take just CBT and see how you get on. The course days can be split at no extra cost. A typical course for experienced riders would be spread over three or four days. i.e. CBT followed by Mod 1 training and test and finally Mod 2 training and test. Novices and less experienced people will need to add extra training days to suit. Once you have passed Module 1 and Module 2 on a 600cc motorcycle you have gained your full unrestricted motorcycle licence and can ride all categories. It will be possible to take this course at 21 if you have passed the A2 test and at least two years have elapsed.